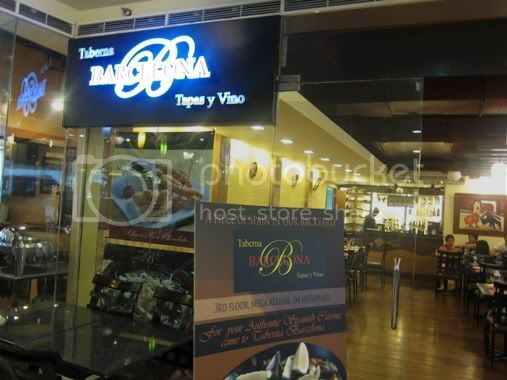 Two Saturdays ago, we found ourselves having lunch at a Spanish restaurant called Taberna Barcelona Tapas y Vino located at SM Megamall Atrium, just across Amici. “Tapas” in Spanish means “appetizers” or “snacks,” while “vino” is the Spanish word for “wine.” The name of the restaurant, therefore, means a place where appetizers/snacks and wine are served. However, snacks and wine are not the only things they serve in this restaurant. This restaurant has a refined and classy interior, which I found quite intimidating. I had no idea what to order, so I left that task to my husband. While waiting for our orders, we were served a small basket of bread and a small cup of chopped tomatoes, compliments of the house. I skipped this. We had the following: Mejillones Gratinados, Paella Valenciana and Callos ala Madrileño. Mejillones Gratinados are mussels baked with Manchego cheese crust. This was a nice appetizer. We liked it very much, but we were craving for more. Seven pieces of mussels just weren’t enough for 3 adults and one preschooler, although my son only wanted the cheese. This Paella Valenciana with assorted meat and seafood was a bit expensive, but it was worth it! As you can obviously see in the picture, they didn’t scrimp on meat and vegetables here. Even my son loved this paella, although he only wanted ham with his rice. 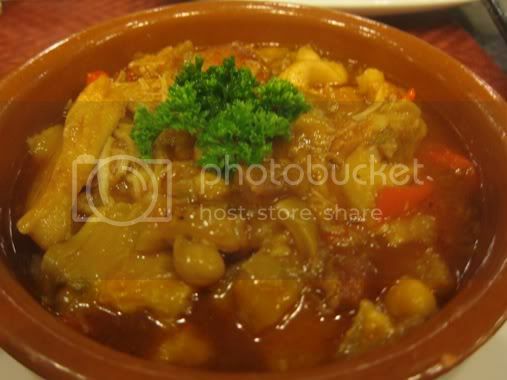 Callos ala Madrileño is beef tripe stewed in rich tomato and paprika sauce. The beef tripe was tender, and the taste of the callos was okay. We went home full and satisfied. 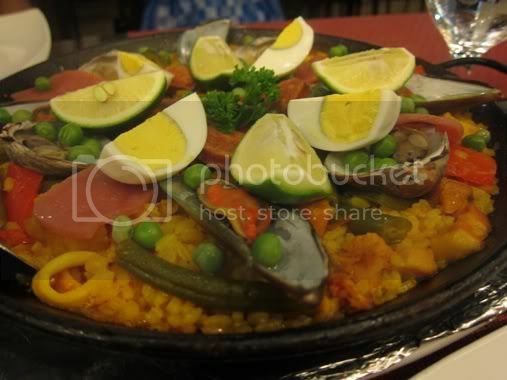 This entry was posted in Food Trip Friday, Restaurant Review, SM Megamall, Spanish Cuisine, Taberna Barcelona Tapas y Vino. Bookmark the permalink. wow! 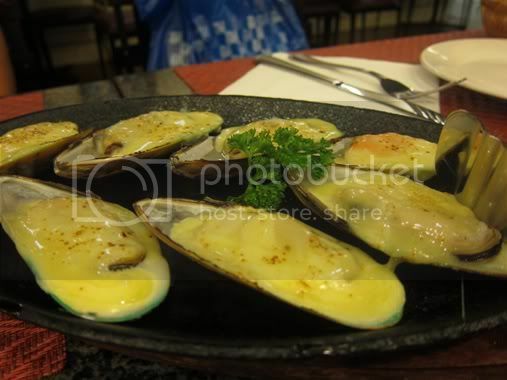 i liked the baked mussels overflowing with cheese, looks very yummy!! Looks so delish ate. Kamukhang kamukha mo si Justin hehehe. Is this a new resto? How come I missed it, I eat at Amici all the time 🙁 The Paella and Mussels look super masarap! I hafta try it! im just there in mega last night. my friend and i was debating whether to eat there.. but we ended up at Gottis instead. Ang mahal ng paella! 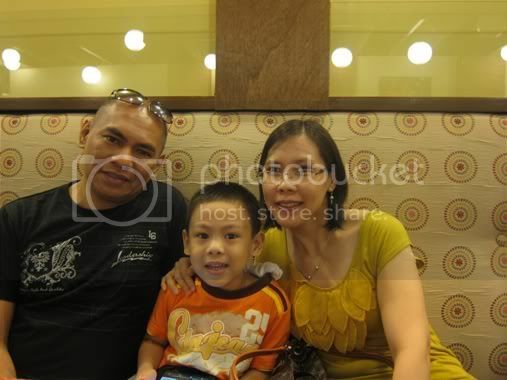 :)) Ang konti ng mussels, hahah…. wow, it’s a nice place. I want to have that paella! my favorite! Thanks for dropping by my site. Glad to exhange links with you.